I don’t know about you guys, but I’ve been just a wee bit obsessed with diced mangos since I made the two-minute mango salsa a few weeks ago. Since mangos aren’t in season at the moment, picking up a can of Del Monte Diced Mangos makes my life super happy. 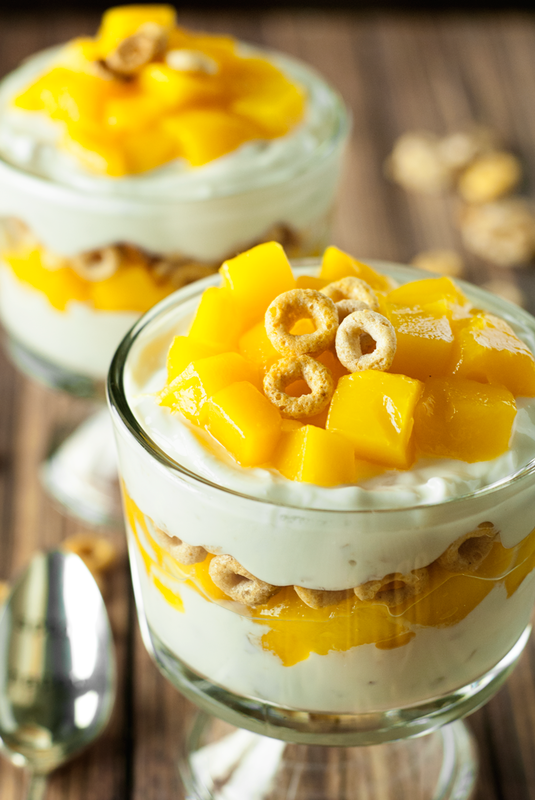 Using them in my walnut mango yogurt parfait makes my life even super happier. Yes, I am aware how grammatically incorrect that statement is. Just go with it, it works in this situation. One of the things I just love about parfaits is how much you get in a single bite. Different flavors, different textures, it’s just great. 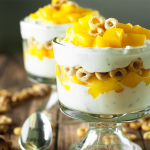 Also, the name walnut mango yogurt parfait makes it a pretty self-explanatory dish, but I love the addition of Multi-Grain Cheerios, which add a delicate crunch as well as a slightly salty-sweet taste. 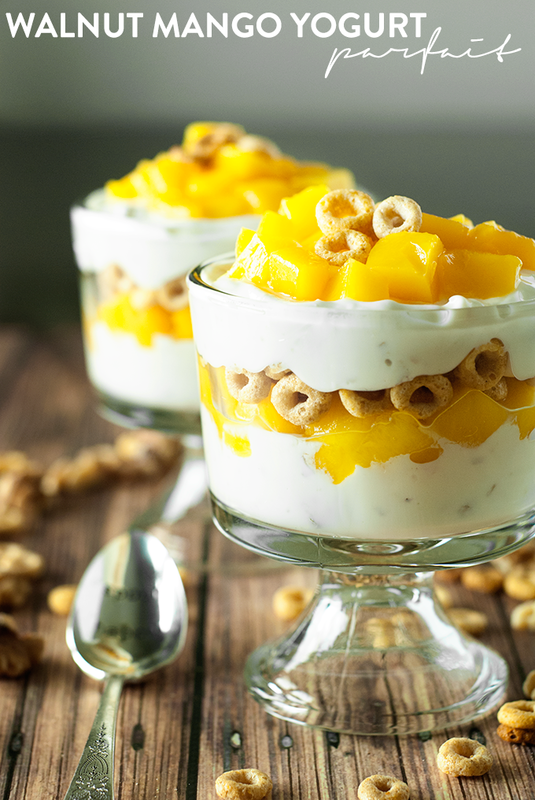 It works well with the yogurt and mangos, which are more tart, and the walnuts, which are obviously nutty. Kind of like me, har har har. Yummeh. Have I mentioned that walnuts are my fave? Out of all the nuts, I will always choose walnuts. And they look like little brains for a reason, because they are packed with brain-healthy nutrients! So feed your brain. It will thank you. 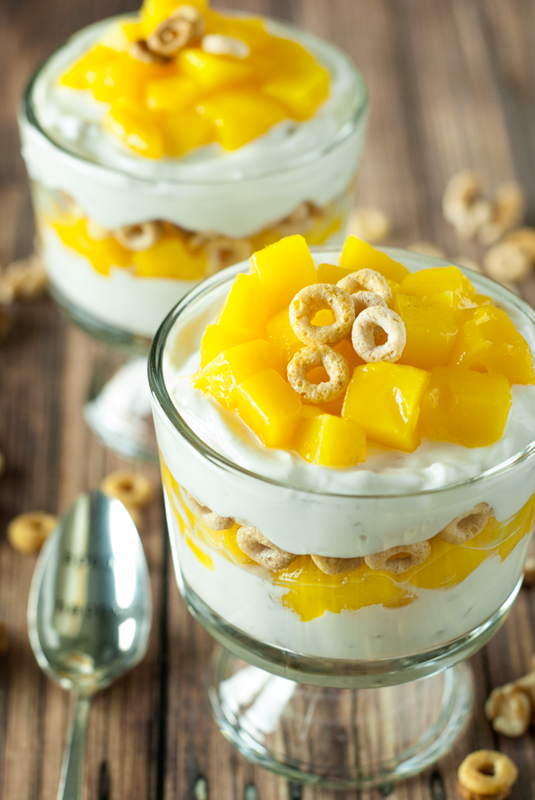 Ready to make your own walnut mango yogurt parfait? 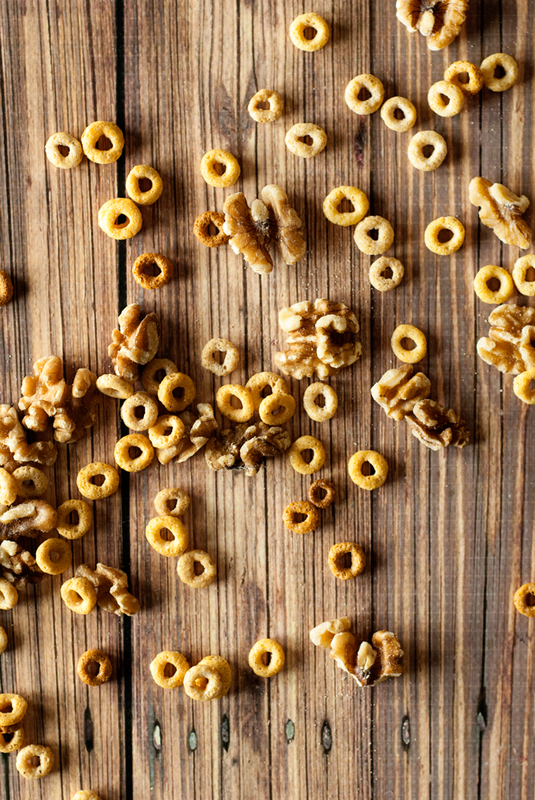 Your breakfast just loads more delicious, yo! 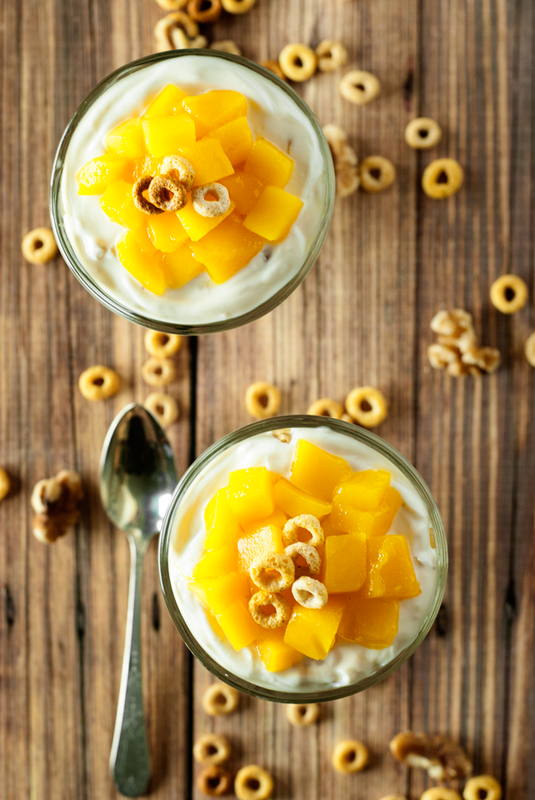 Mix together the yogurt and walnuts, then take two dishes and layer, starting from the bottom: yogurt, mangos, Cheerios, until all the ingredients have been used. Serve immediately. I hope you give this delicious dish a try sometime soon! What are your favorite parfait ingredients? Tell me about them in the comments! Wow, this sounds simply delicious! Now looking forward to summer with double-eagerness, to make it with fresh mangoes!